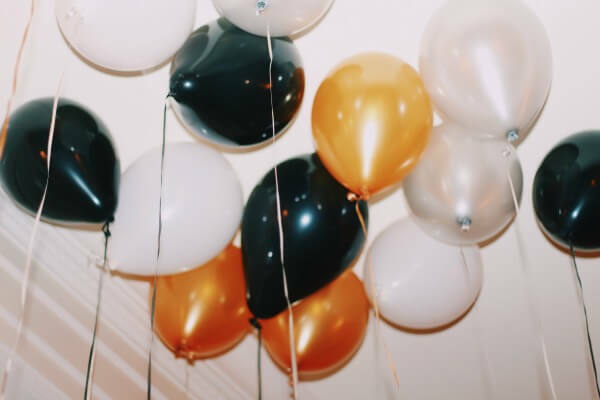 I can’t believe that New Years is right around the corner? What are you big plans for this Saturday night? My girlfriends and I are heading to Resolution this weekend! If you haven’t heard of it and are in Utah, they are throwing a huge dance party with a DJ at Trolley Square and it will definitely be the place to be. Make sure to buy your tickets in the link below before it is too late. 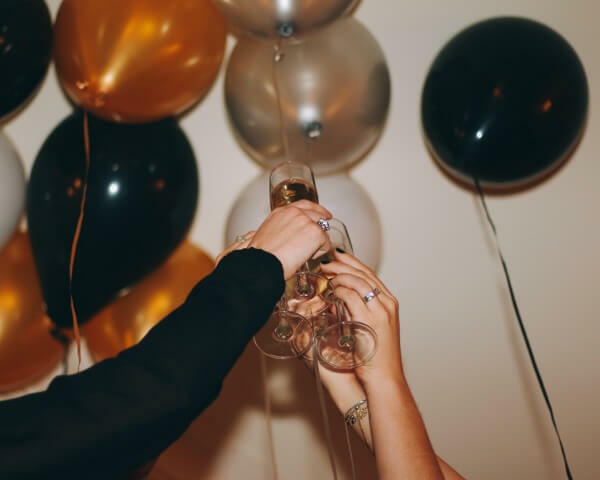 Since we are heading out for a fun night on the town, we will definitely be dressing to the nines with fancy outfits, glitzy makeup and of course lots of glam hair! To get the perfect look, we have created some inspiration looks for New Years using the Christie Brinkley Hair2wear extensions. They are the perfect accessory to incorporate because they are pre-styled and ready for instant use. 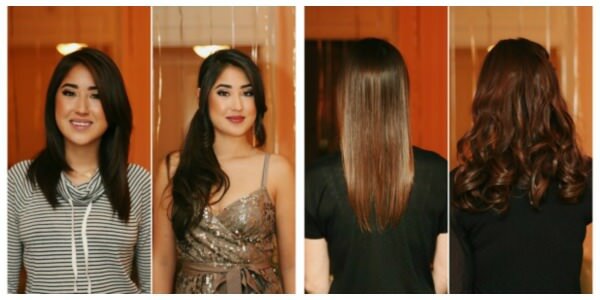 I had in two sets of the 16″ curled extensions, while my friends used the pony extensions, braids and even the side bang fringe! The best part, is that all of the products are available at your local Sally Beauty store, so stop in today or order online for a quick and glamorous look! Happy shopping and have a safe New Year!! 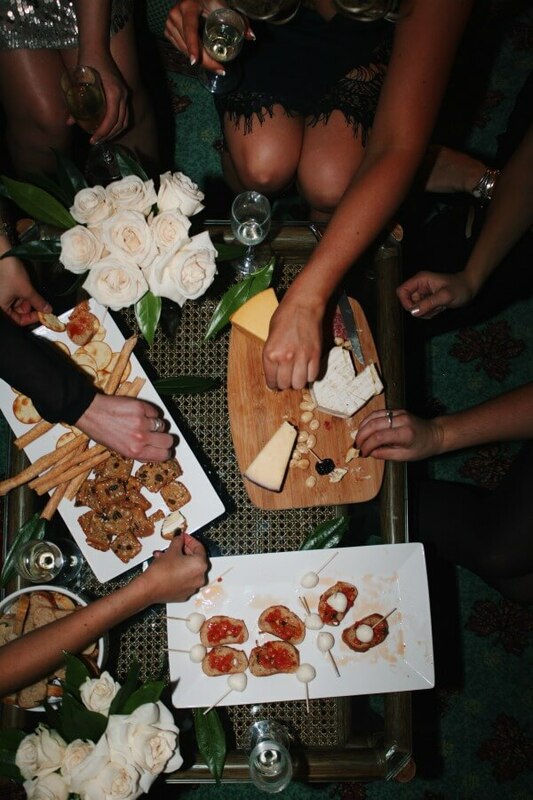 Last weekend, my girlfriends and I had the ultimate Girls Night Out! 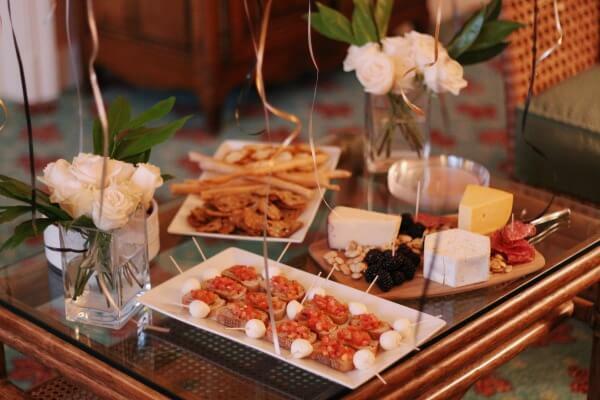 Instead of doing presents this Holiday Season, we decided to create a fun and memorable event that allowed us to spend some quality time with one another (while sipping on some tasty champagne and enjoying yummy hor d’oeuvres of course) . To make this a special event, we decided to celebrate by getting a room at The Grand America hotel, and dressing up in our finest attire. 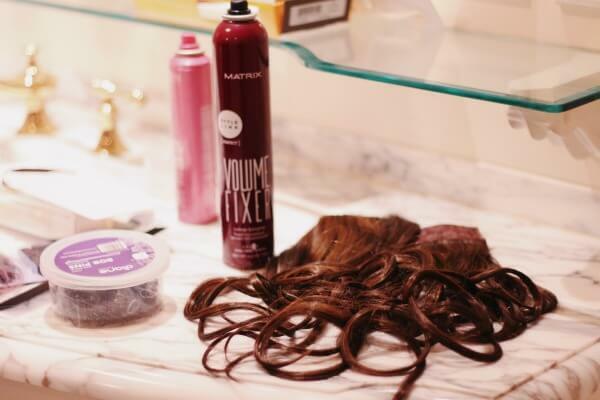 To create that extra special touch, we glammed ourselves up with all of the latest Hair2wear extension products! These extensions allowed everyone to feel their best and gave us all that ultimate Hollywood look for a night we would never forget. One of the best moments of the night was taking the time to all get ready together! We all felt like little girls again, playing with hair and makeup and clothes. Below are our before and after hair transformation. Check out the different products Hair2wear has to offer and how easy and versatile they can be, especially with all of our different colors, textures and styles! 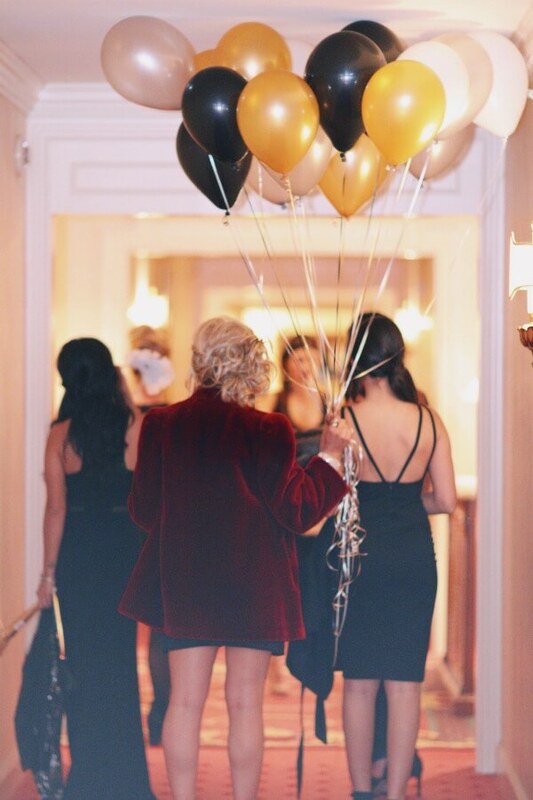 Next time you have that extra special event, make sure to check out the Hair2wear extension products to take that Girls Night Out to the extra level! 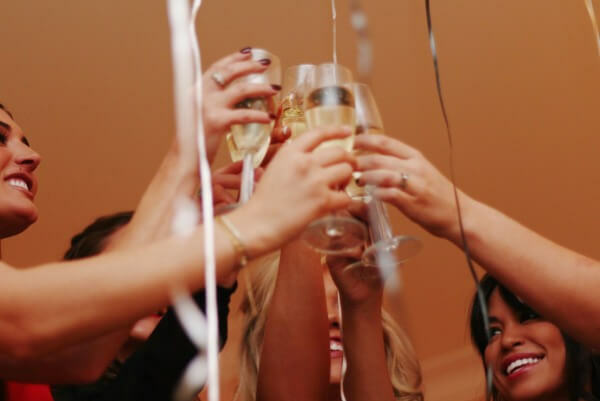 Cheers to friendship, a new year, and always looking fabulous! In collaboration with Hair2wear. All opinions and thoughts are my own, and I absolutely love the product. 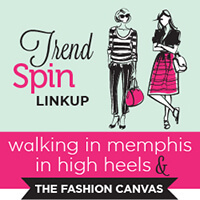 Here are our featured bloggers from last weeks CHIC trend spin linkup! 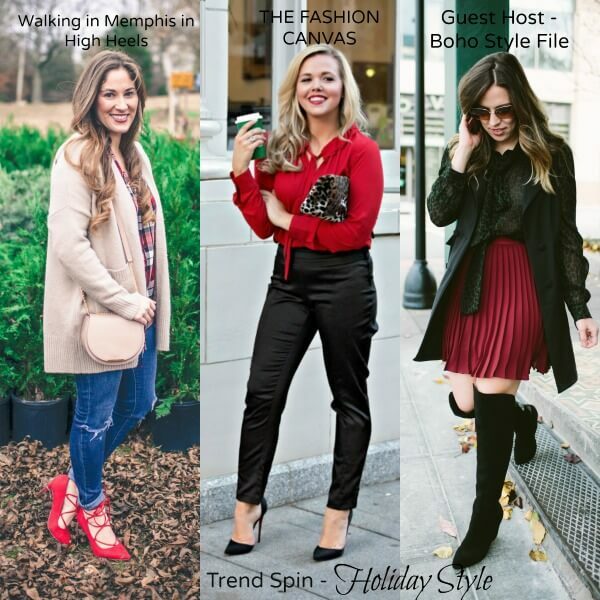 Today’s trend is HOLIDAY STYLE! 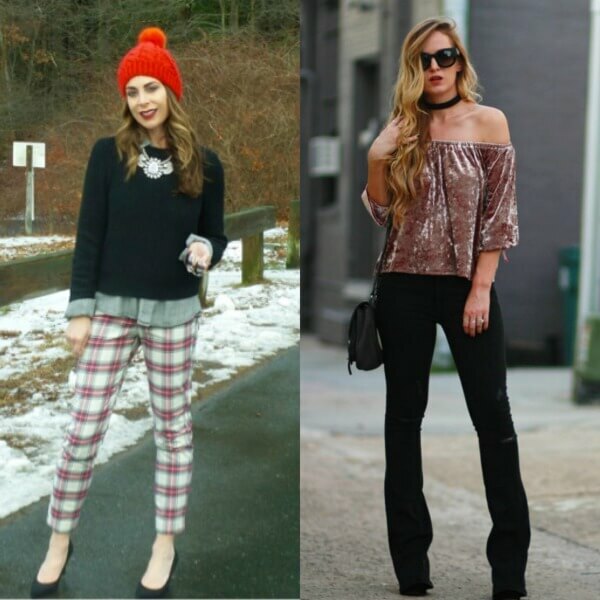 Today I am showing you three different holiday looks I have worn in the past. All three have different styles, but revolve around a red and black theme! Next week’s trend is PRINTS & PATTERNS! Bloggers : All bloggers will be able to submit their post links via the inlinkz widget below every Tuesday at 12:00am CST with their take on our trend of the week. This will allow bloggers to show off their personal style, find new followers and meet some great fashionistas! You will also have the chance to be featured on our blogs the following Tuesday (if you make sure to link back to Laura and my blog) ! So grab the button and link up. 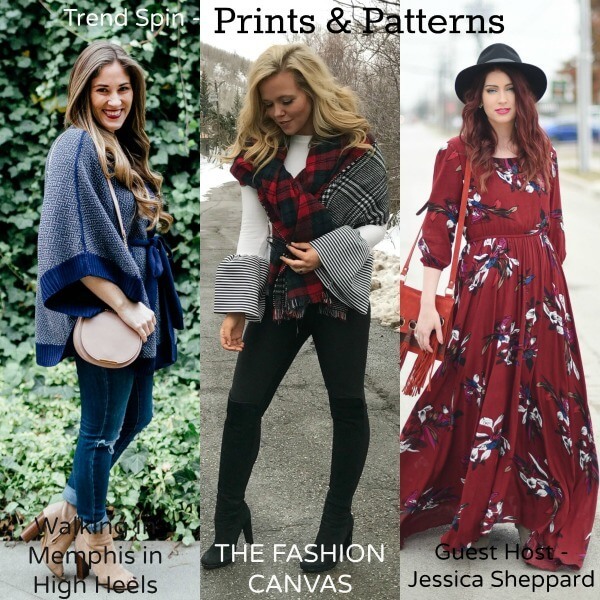 = ) For all bloggers we simply ask that you please follow your hosts – Walking in Memphis in High Heels, The Fashion Canvas and our guest host Boho Style File and provide a link to the Trend Spin Link-up in your post or add the button below to your blog. Don’t forget to stop by everyones blogs to see how they wore the trend today. Leave a comment on my blog, and also on at least 5 other blogs!